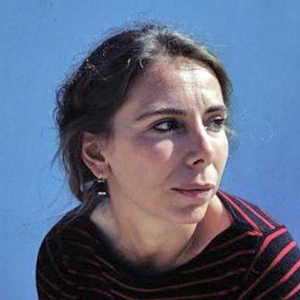 Marta Dahó (Milan, Italy, 1969), freelance curator, researcher and teacher of History of Photography. BA in History of Art from the Universitat Autònoma de Barcelona (1995) and MA in Advanced Studies in Art History from Universitat de Barcelona (2012). Marta Dahó is currently working on her PhD thesis, a study of photographic practices related to landscape and the problems that surround the notions of representation of territory. She is an associate researcher at the Universitat de Barcelona Art Globalization and Interculturality (AGI) research group. Since 1995 Marta Dahó has curated a significant number of exhibitions and editorial projects for internationally renowned institutions such as Magnum Photos (2001 – 2005) and Metrònom contemporary art foundation in Barcelona (1995 – 2001). More recently, as a freelance curator, she has worked on a great retrospective of Stephen Shore’s work for the Mapfre Foundation (Madrid), also presented at the Rencontres d’Arles Festival (2015), C/O Berlin and Huis Marseille (2016) with a catalogue co-edited by Aperture, Xavier Barral, Kehrer and Contrasto. In 2009 she had curated a major show of Mexican photographer and Hasselblad Award winner Graciela Iturbide, produced by Mapfre Foundation and exhibited at prestigious museums as the Fotomuseum Wintertur, the Pinacoteca São Paulo (2010), the Museo de Arte Moderno in Mexico and the Festival Rencontres d’Arles (2011). Over the past few years Marta Dahó has also curated exhibitions and slideshows devoted to emerging photographers for festivals such as Talent Latent ’08 for SCAN (Tarragona, Spain), Joy ¿? Joy. Spanish Contemporary Photography for the Festival di Fotografia di Roma and An Idea of Europe for FotoFreo (Fremantle, Australia). Besides her curatorial practice, since 1995 Dahó has been publishing numerous articles and essays in exhibition catalogues and magazines, and has delivered lectures in seminars and symposiums (Universitat de Barcelona, Humboldt University of Berlin, Scripps College in Claremont, Universitat Politècnica de Valencia, Eina, Fotocolectania/Caja Madrid, Roma Festival Internazionale di Fotografia, Centro Cultural de España in Mexico City). She has been a member of the jury of prestigious awards including the National Prize of Photography (Ministry of Culture, Spain), FotoPress (Fundació La Caixa, Barcelona) and the Baume et Mercier International Photography Prize (Festival Fotografia, Rome). Since 2006 she has been teaching Theory and History of Photography (Idep Barcelona school of the Universitat Abad Oliva Barcelona) and collaborating with art centres and schools organising seminars and workshops devoted to the medium.